There has been an increase in the negative health effects of gluten in the past few years. Results from a 2013 survey show that a third of Americans are eliminating gluten from their diets. Moreover, medical researchers suggest that people with celiac disease (gluten-sensitive enteropathy) carry a higher risk of certain cancers. Gluten is the general name of proteins found in wheat, barley, rye, and triticale — a cross between wheat and rye. Gluten helps food maintain their shape and texture, acting as a binding agent that holds food together. Many food items contain gluten. It is most common in bread, baked goods, cereal, pasta, sauces, salad dressings, food coloring, malt, beer, and Brewer’s Yeast unless labeled otherwise. Celiac disease is a severe form of gluten sensitivity. It is an autoimmune disorder that emerges in genetically predisposed people where ingesting gluten leads to damage in the small intestine. The Celiac Disease Foundation estimates that 1 in 100 people worldwide develops the disorder. In addition, at least 3 million people in the U.S. are living with celiac disease, with 97 percent of them undiagnosed. 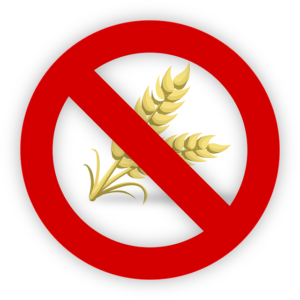 When patients with this severe level of intolerance eat gluten, their bodies create an immune response that attacks the small intestine. These attacks may damage the villi (tiny fingerlike projections) that cover the surface of the small intestine. Compromising the villi disables the body from absorbing vital nutrients. Due to its genetic nature, people with first-degree family members with celiac disease have a 1 in 10 chances of developing it. Common symptoms of celiac disease are diarrhea, weight loss, and fatigue. Some may also experience bloating and gas, abdominal pain, constipation, nausea, and vomiting. Celiac disease can occur at any age after consumption of food or medication that contain gluten. Without treatment, it can lead to additional health problems, including Type I diabetes and multiple sclerosis (MS), anemia, dermatitis herpetiformis, infertility and miscarriage, neurological conditions like epilepsy and migraines, osteoporosis, short stature, and intestinal cancers. Recurrent damage to the gut due to gluten intolerance can lead to intestinal cancer, which occurs when malignant cells form in the small or large intestines. The two common cancers of the gastrointestinal (digestive) system include colorectal cancer and small intestine cancer. Both are fatal and accounts for over 50,000 deaths in the U.S. each year. Funding from the Worldwide Cancer Research allowed scientists to explain how gluten may cause a rare form of blood cancer for a small group of people with celiac disease. According to scientists at Leiden University Medical Center (LUMC), when the immune system cells react to gluten, they produce compounds called cytokines that can contribute to a patient’s potential progression of a rare lymphoma. This cancer of the white blood cells begins in the lymphocytes or infection-fighting cells of the immune system. 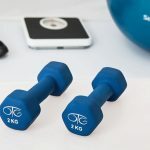 The study was conducted in the Netherlands and published in the journal Proceedings of the National Academy of Sciences. In a large medical trial in Ireland, researchers found more deaths from cancer — including more deaths from all causes – in people with sensitivity to gluten. The rate of cancer in the gluten-sensitive group was higher than average, but it does not narrate the whole story. Male participants had a higher risk for all cancers, while women had a lower risk because of a lower possibility of breast cancer. It is not known why women with gluten sensitivity may have lower breast cancer risks, but it may be because of an overall immune system dysfunction. Last, death rates increased in those with non-celiac gluten sensitivity, although the science behind it remains unclear. The researchers advised conducting more studies to ascertain if the cause is gluten sensitivity or some other health issue. Various international studies show that the more whole grains a person consume, including the gluten-containing grains, the lower their risk of most cancers, such as those of the breast, prostate, and colon. Ingesting gluten may also reduce a person’s risk of less common diseases, including carcinoma of the pancreas. These results may stem from the fact that whole grains are rich in fiber, which play a role in stabilizing blood sugar and hormone levels. In the last decade, going gluten-free has become the latest diet trend, whether due to an increase in gluten sensitivity or the accessibility of gluten-free processed and pre-packaged products. Going gluten-free may be beneficial if you are among the 20 million people in the United States with gluten sensitivity or the 3 million men and women with celiac disease. However, it is important to note that eating a gluten-free diet does not automatically mean health and wealth. Often, the refined grains in gluten-free foods lack fiber and other essential vitamins and minerals, including B vitamins, antioxidants, iron, zinc, copper, and magnesium. Gluten-free products can instead be high in fat and added sugar. Too much sugar causes a myriad of other health concerns, not the least of which is obesity, which presents its share of cancer risks. Going gluten-free is not the same as eating a diet low in carbohydrates. If you make that mistake, you will tend to overindulge or choose items you would not eat on a normal basis. Thus, if you do not suffer from gluten intolerance, it may help to consume gluten in moderation. New Hope Medical Center is one of the leading providers of comprehensive treatments for chronic degenerative diseases and immune disorders. 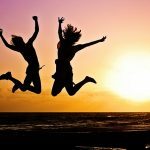 Our unique combination of conventional and alternative cancer therapies, which promotes fewer side effects than solely conventional treatments, focuses on improving a patient’s quality of life through detoxification and other holistic methods. Stop feeling helpless to your disease. Get the treatment you deserve by calling New Hope at 480-666-1403. You may also complete our form to get in touch with our team.